Hello, I always like to read about Health tips. I lost approx 100 Pounds weight. It was my biggest dream which was come true by california medical weight management. I had tried many things, like control on diets, workout at home, weight loss pills and many other things, but nothing helped me. I had lost lot of money. One day I got an offer for free medical weight loss checkup and 40% discount on Program. I went for free consultation. They ensured me that I would lose my weight, they shown me previous results, their techniques and programs. I was impressed and enrolled in the program. Within a month, I lost 25 Pounds. I was so happy. In another 4 months I lost 100 pounds. I am thankful of Dr. Michael. Thanks for the hop - great idea! I submitted all my links above; the badge will go on later today when my tech guy (otherwise known as my fiancee) has a chance to post it!! LOVEEEEEEEEEEEEE this hop -- tyvm for sending me the info and hosting! I will be back later tonight to hop around and do some following!!! thanks, Kim for telling me about this. Happy 4th of July. Hi - this weekend I have a short story for everyone to read, as well as the weekend creation blog hop - hope I see some of you there? Hello. I am following you thanks to FHS Hoppin Weekend!! I am currently looking for bloggers to participate in a Back To School Giveaway Hop if you are interested!! Have a great Holiday Weekend!! 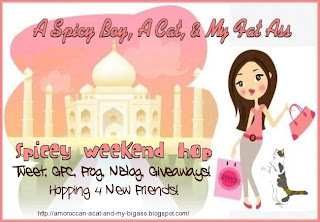 Please feel free to stop by and link your Hop and thumbnail on my Blog Directory page.